I scream, you scream, we all scream for ice cream. How about a festive treat just in time for St. Patrick’s Day? If your looking for a no fuss way to celebrate with the kiddos, this might be the answer. All you need is green ice cream like Mint Chocolate Chip and a Shamrock cookie cutter to make this irresistibly cute sweet treat. There are affiliate links in this post. You simply start off with a half gallon of your preferred ice cream flavor and let it melt. While it’s melting, line a large casserole dish with foil. Once the ice cream is spreadable, smooth it out over the foil into the dish. Use a spatula to make a nice smooth and flat top. Then, cover and store in the freezer until the ice cream has firmed up again. Once your ice cream is firm, take the dish out of the freezer. Grab the foil and remove the layer of ice cream and put it on a flat surface. Take your Shamrock cookie cutter and cut out each treat. If you don’t plan to serve right away, simply return the cut out shapes to the freezer until you’re ready. 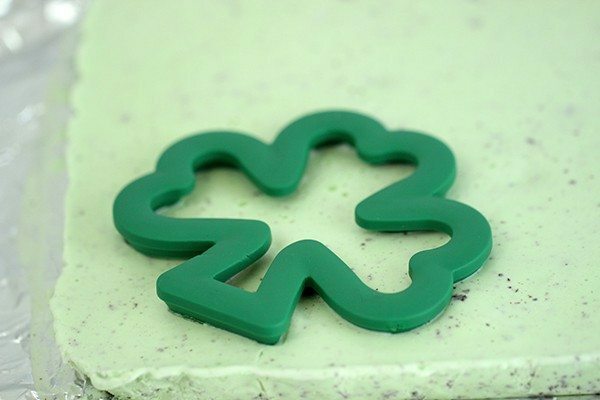 I used this Wilton Shamrock Cookie Cutter for mine. 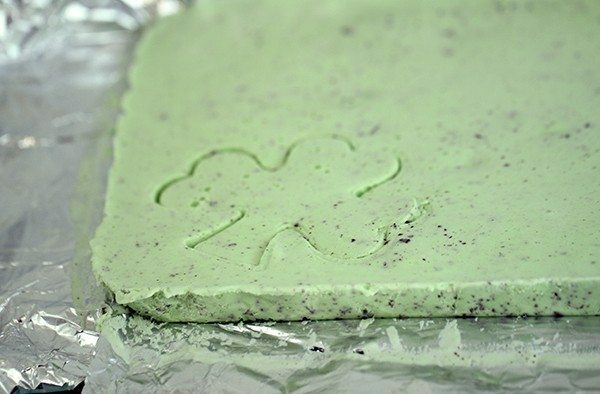 That’s all you need to make a quick and tasty treat this St. Patty’s Day! 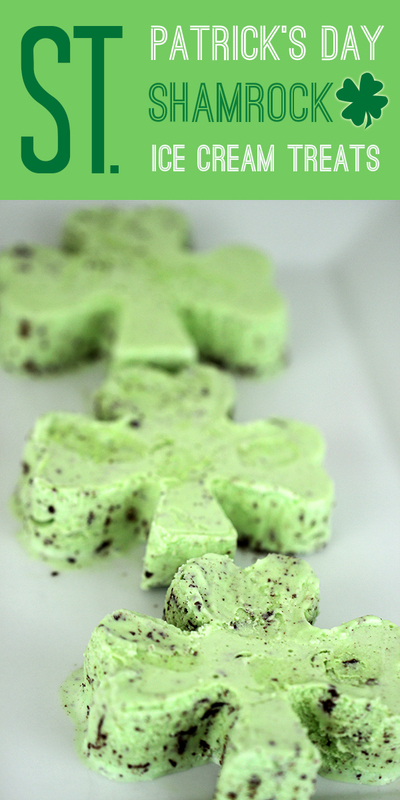 Do you have any special St. Patrick’s Day treats you like to make with mint chocolate chip ice cream? What a creative idea! Great for all sorts of occasions. :) Thanks for sharing with us on Inspire Me Monday! Oh I love this idea and now have so many fun summer thoughts in my head! Thank you for sharing this idea!! :) Pinning, Stumbling, and Yumming! What a cute and tasty idea! Thanks for sharing.